The Hong Kong and Shanghai Banking Corp Ltd (HSBC) today appointed Surendra Rosha as the Chief Executive Officer (CEO) of it's Indian operations. He is going to replace the present CEO Jayant Rikhye, who is going to leave the bank due to medical reasons. 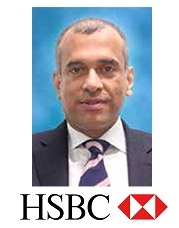 50 year old Rosha, currently HSBC's Head of Financial Institutions Group (FIG) for Asia-Pacific, joined the bank in 1991. He has worked in multiple roles in forex trading, corporate treasury sales, treasury and capital markets across a variety of countries. He has experience in global banking and markets including in sales, treasury and capital markets in India during 1991 2005. Rosha holds a bachelor's degree in commerce from Bombay University and a Master's Degree in Business from the Indian Institute of Management, Ahmedabad.